Employees working in confined space have hazards to contend with on a daily basis. A ventilation fan is an important piece of equipment for these workers. It will recirculate the air and keep temperatures lower which helps the comfort of the workers by making it much easier to breath. 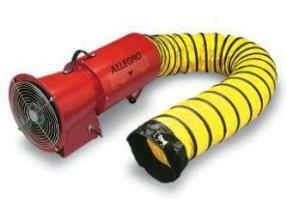 A ventilation fan will bring air in from an area, compress it and then direct it to the confined space. There are two types of fans that can be purchased, one will suction draft and the other will force ventilation. The benefit of properly circulated air cannot be over- estimated especially when hazardous air is forced out of the area.